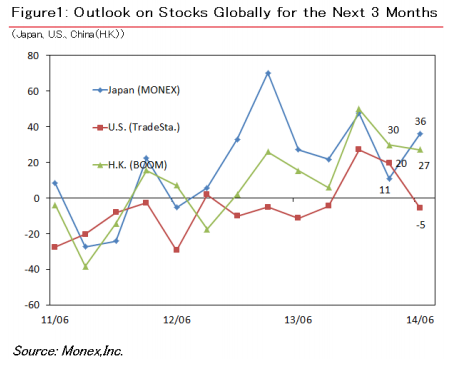 The Japanese financial trading giant, Monex, released today its quarterly retail investor survey revealing, among other things, that traders in Japan and China are bullish on global stock markets performance while American investors turn bearish. 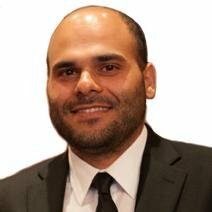 The survey measured the sentiments of Monex clients globally with 1,174 Japanese, 113 American and 493 Chinese people taking part. 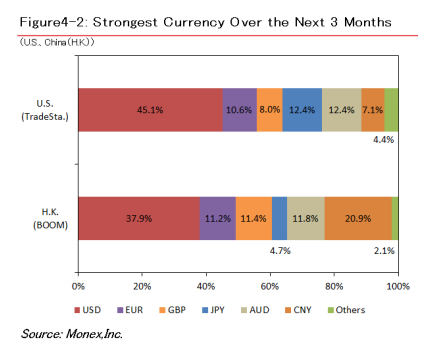 A majority of traders who took part in the survey expect that the USD will be the strongest currency over the next three months. 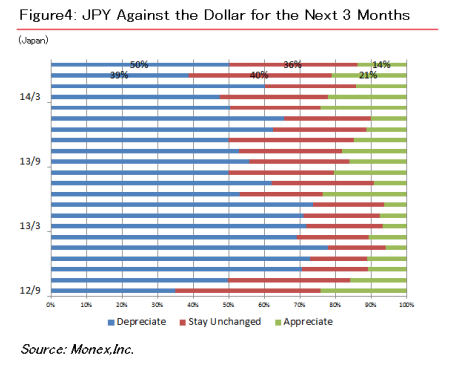 The dollar is especially expected to appreciate in comparison to the yen, showing that traders tend to believe that the Japanese Prime Minister will succeed in his policy to weaken the currency to help exporters. 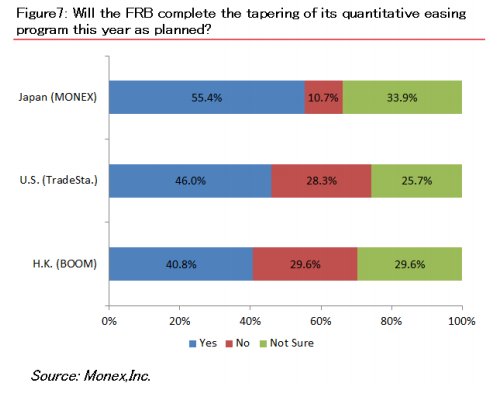 Among the participants, traders who expect that the tapering of quantitative easing by the Federal Reserve Board (FRB) will be completed within this year as planned, accounted for 55.4% in Japan, 46.0% in the U.S. and 40.8% in China. 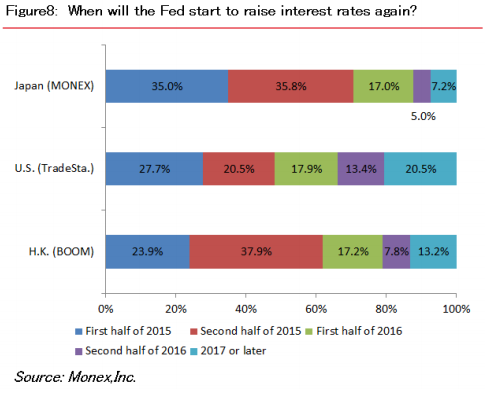 Additionally, more than 60% of individual investors in Japan and China expect that the FRB will raise interest rates in 2015, while fewer than 50% in the U.S. expect an interest rate hike before the end of 2015.